The latest attack on internet security was launched on Open SSL and is known as the Heartbleed Bug. This flaw has created a bit of a stir among people who rely heavily on the internet for sensitive transactions. Sensitive data like banking details and credit card information can theoretically now be breached. This bug has remained undetected for the last two years and has only been recently discovered. Although since its discovery, nearly all the affected or potentially affected websites have taken special measures and got a security patch, it is still advisable to give your passwords a much needed change. Below,we mention some quick information regarding this new bug that is doing the rounds on the internet. SSL is a Secure Sockets Layer which is represented by the Padlock symbol or the ‘https’ on the URL bar in your browser. With the help of SSL, the data we send is encrypted and is incomprehensible to potential hackers. However, Heartbleed is a bug that can intercept the Open SSL and hackers can be privy to all the sensitive information stored in the temporary memory. This leaves all users vulnerable to hackers, all the while they were thinking their transactions have been safe. The websites that run on Open SSL have been under scrutiny, like Pinterest, Yahoo Mail, Gmail, Dropbox, YouTube etc. While all these websites have already got their security patches, the banking websites have somehow avoided the attack so far. 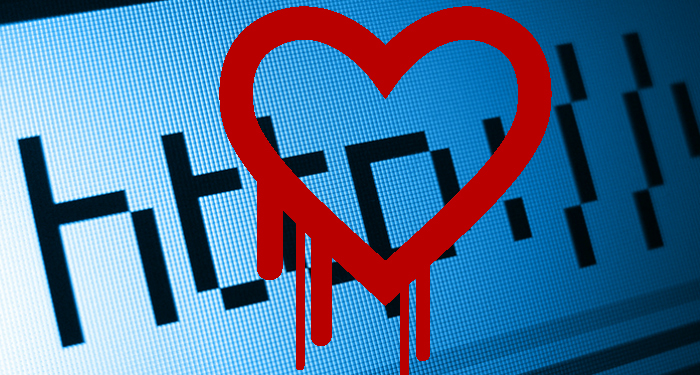 Heartbleed bug only affects those websites that run on the Open SSL platform. Hence, the non-Open SSL websites have also evaded the hit. To be able to protect yourself, you need to understand the way Heartbleed functions and the ways it can impact you and your privacy. Security experts at Bitdefender Antivirus suggests you to ensure that the websites you are using and that run on Open SSL have got their security patches and of course the passwords need to change. Apart from that, get a reliable antivirus protection for your PC so that a malicious website can be flagged. The latest Bitdefender Internet Security 2014 offers complete online protection and is fully updated to face the latest bugs that are present online. Apart from this basic information about the latest bug, if you are using any password managers then you must look into changing the master password of that application to avoid compromising the security of all the applications that are linked to it. Despite the threat, the developers of these password managers insist that the passwords of users are safe as the data cannot be breached until the master password is uncovered, which is only known to the user and is saved only locally. While heavy online usage is always prone to attacks, the password managers make the job of remembering and changing tedious passwords a lot simpler and manageable so that crises like these cannot severely impact your data security.